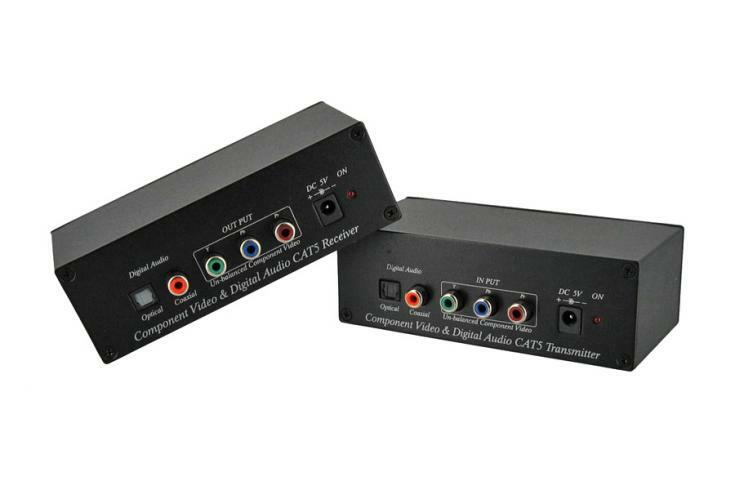 The Atlona Component video with digital audio Extender is a perfect solution to extend HDTV Component (YPrPb / YCrCb) plus digital audio (Optical and Digital Coaxial) over single CAT5 or CAT6 wire. 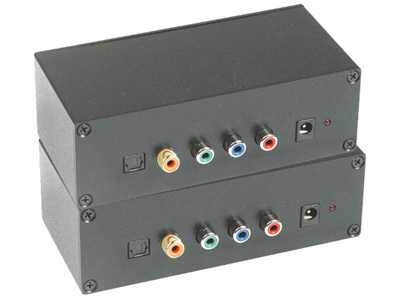 AT-COMP300SR includes 2 x Send/Receive units with 3 video and 1 audio jack and optical jack on the front and CAT5/CAT6 connections on the back. 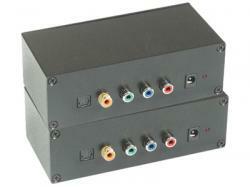 This active Component extender is capable of transmitting signal up to 300 Meters (1000ft).